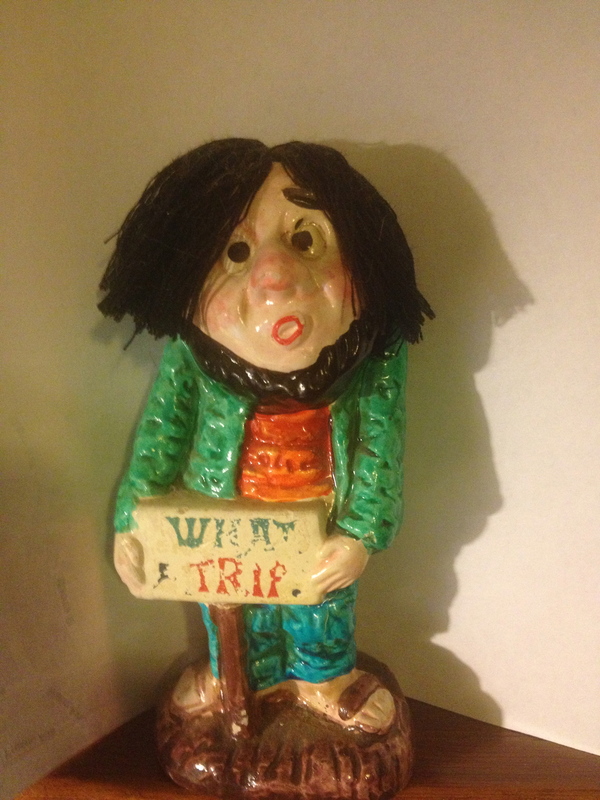 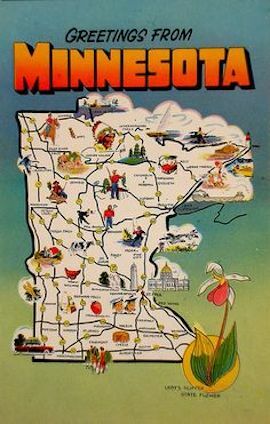 A few summers ago, our friend Gabby took the oldest daughter of his daughter Marie-Louise, on a three-week road trip that started in his hometown Nekoosa. 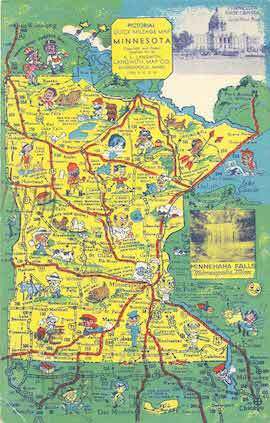 His parents were no longer alive, but his sisters all still live in Nekoosa and Wisconsin Rapids. 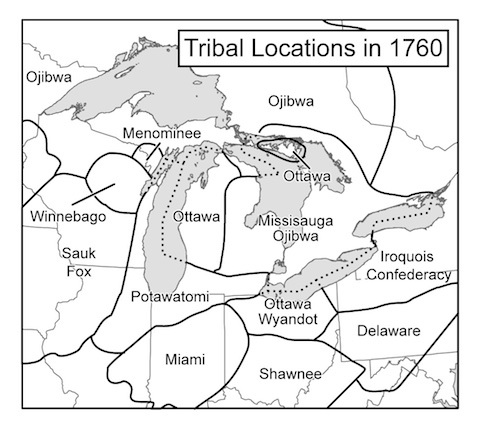 The first theme of their road trip was the displacement and genocide of native American tribes of the Great Lakes region. 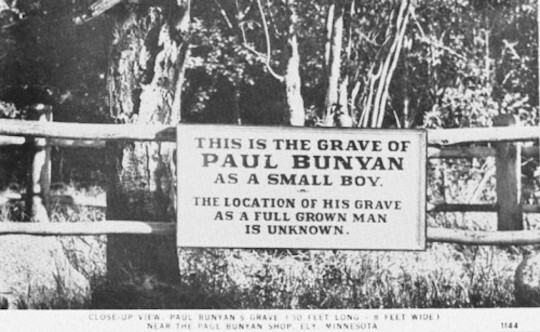 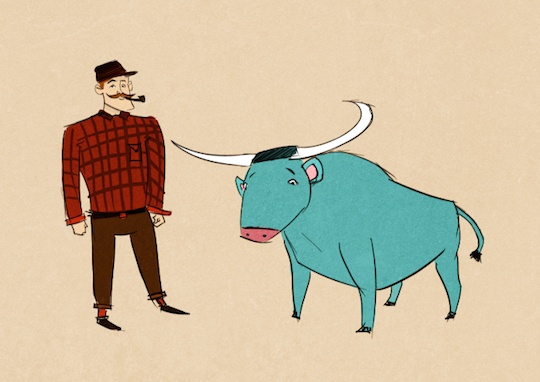 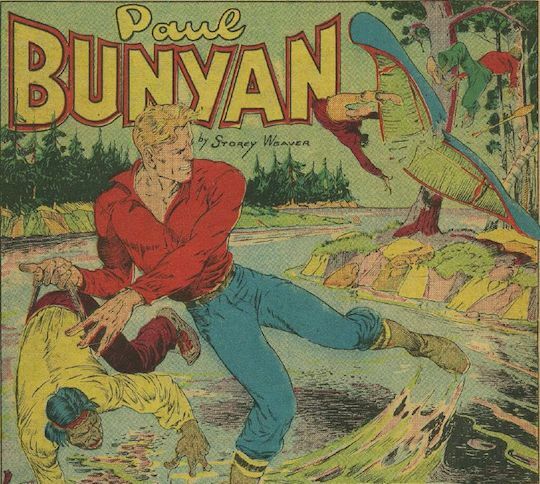 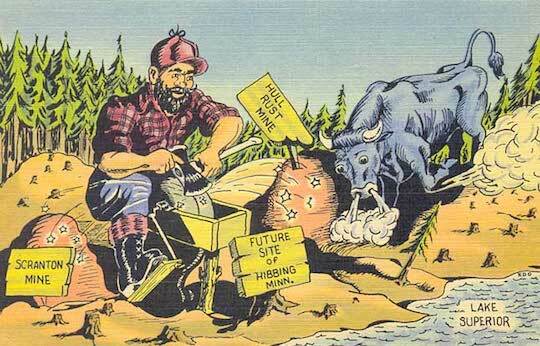 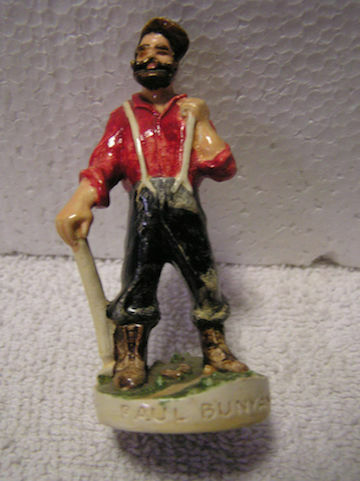 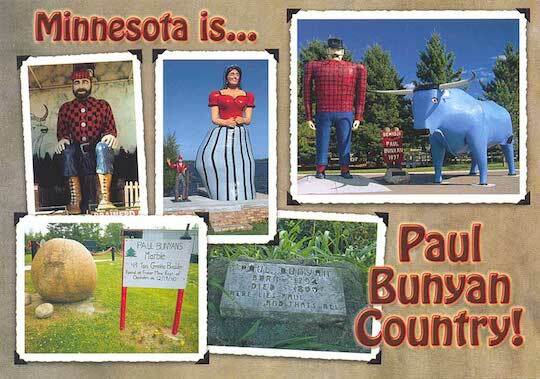 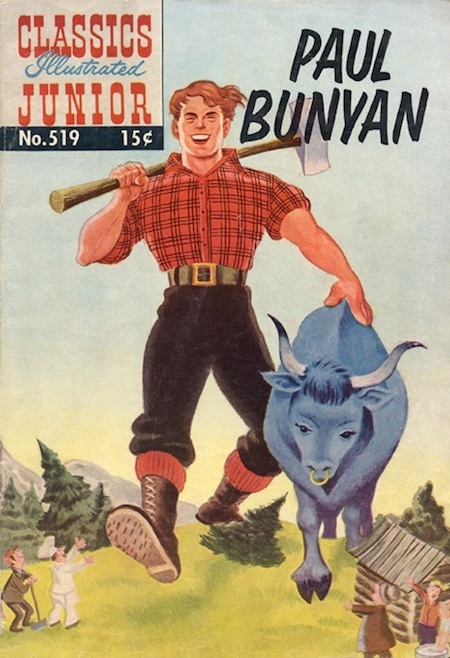 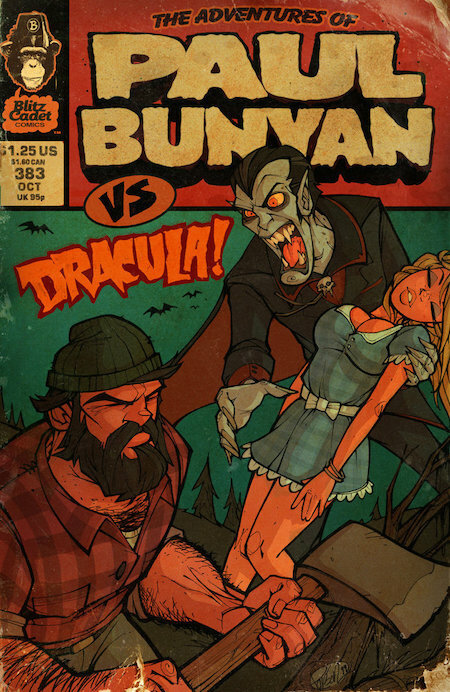 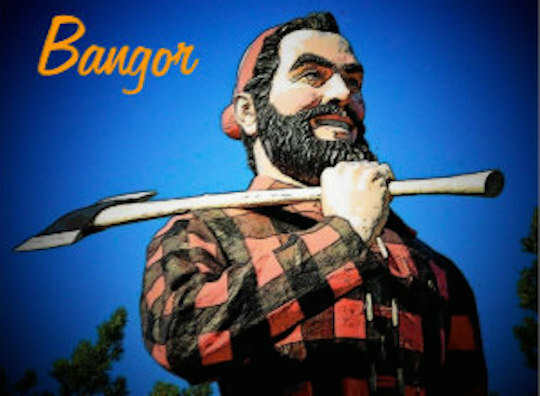 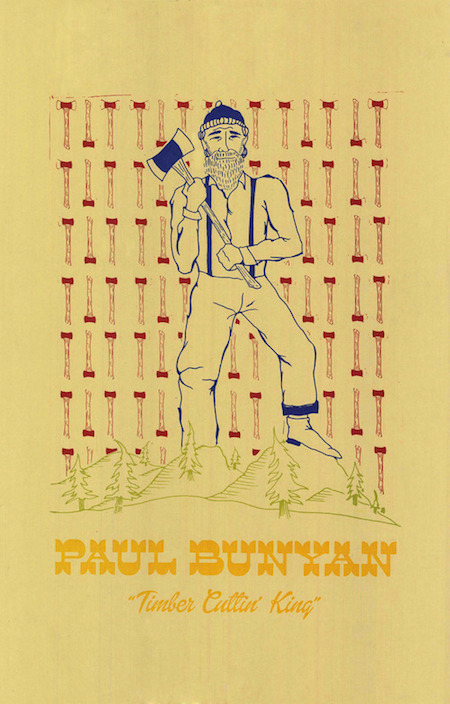 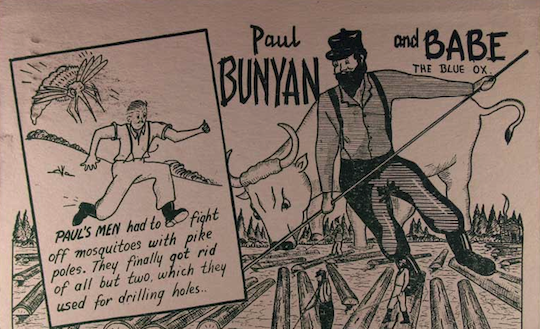 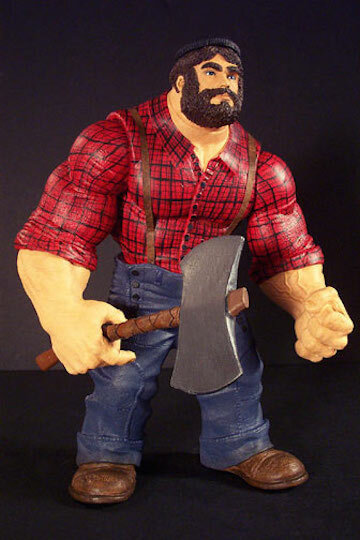 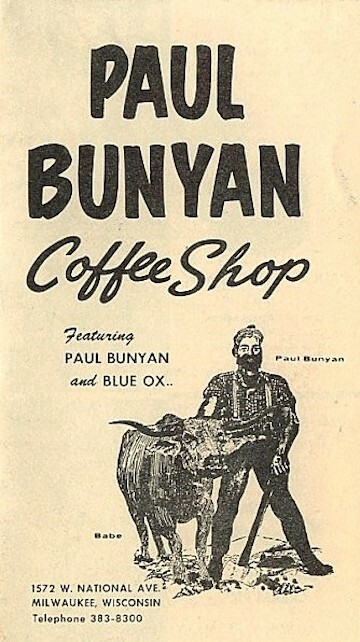 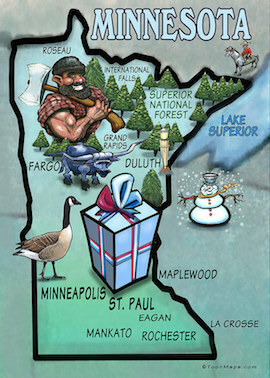 The second was Paul Bunyan. 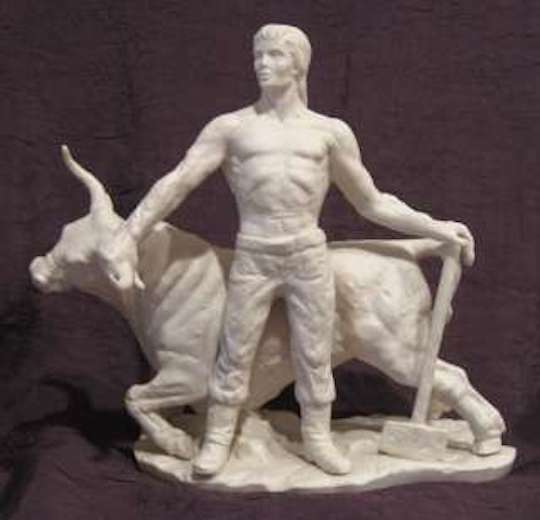 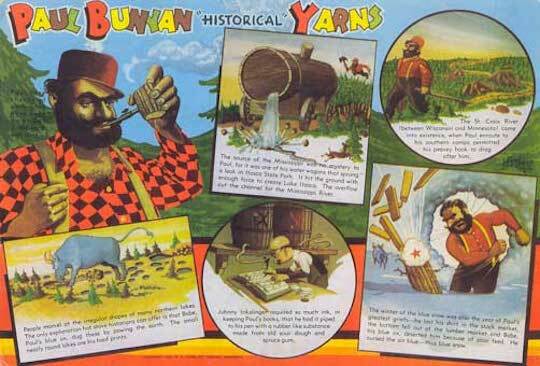 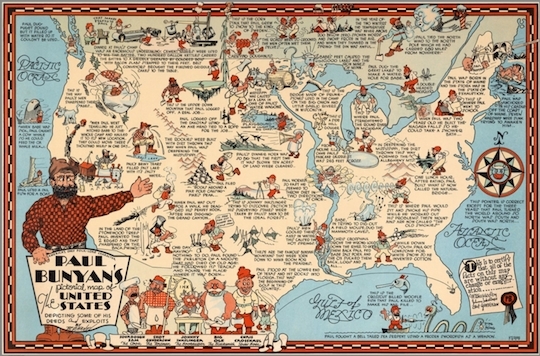 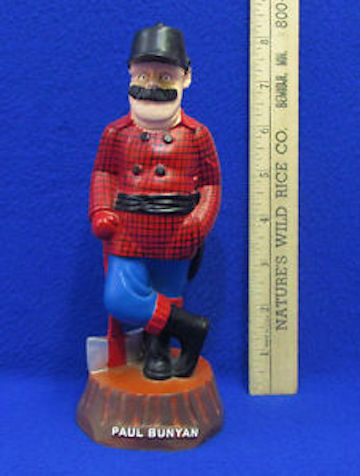 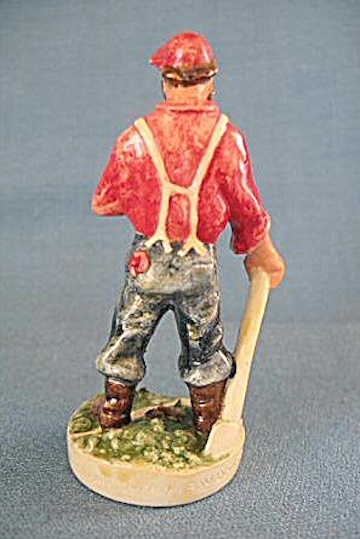 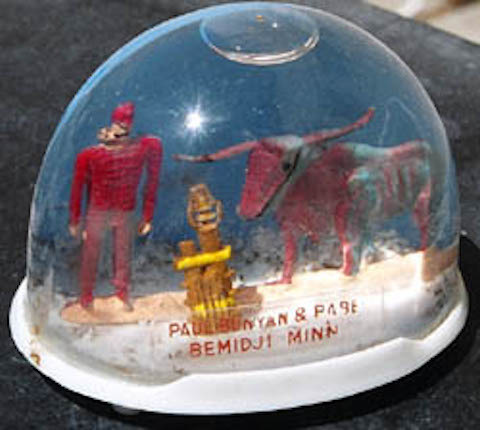 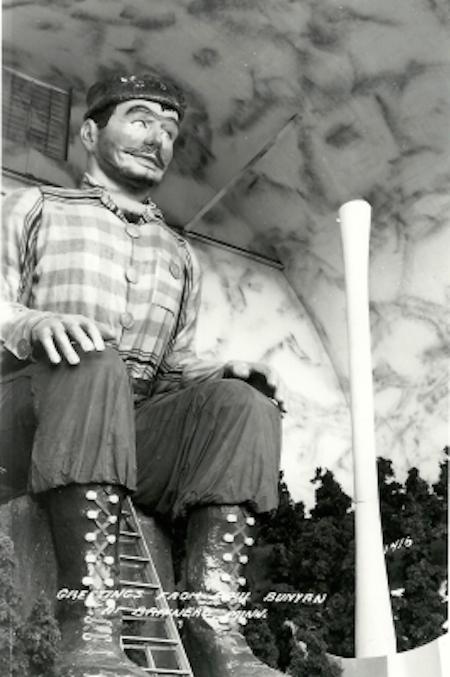 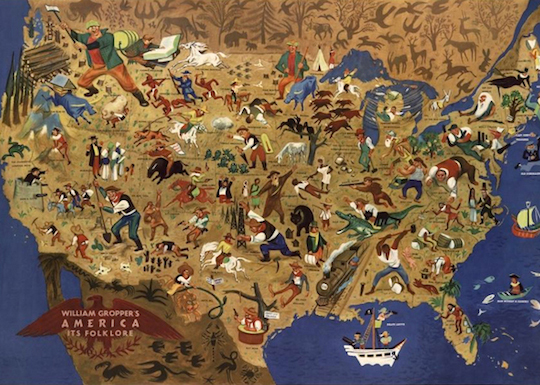 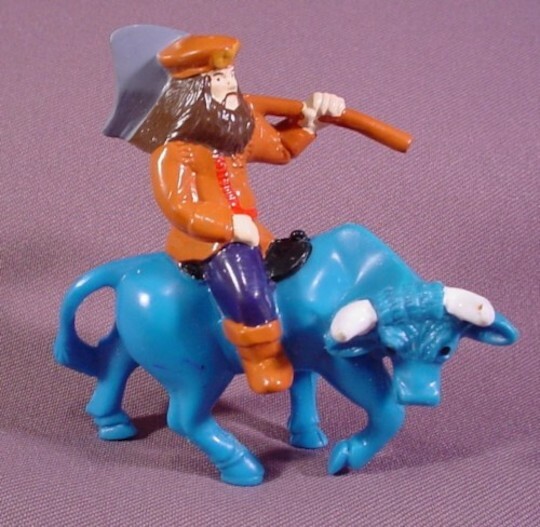 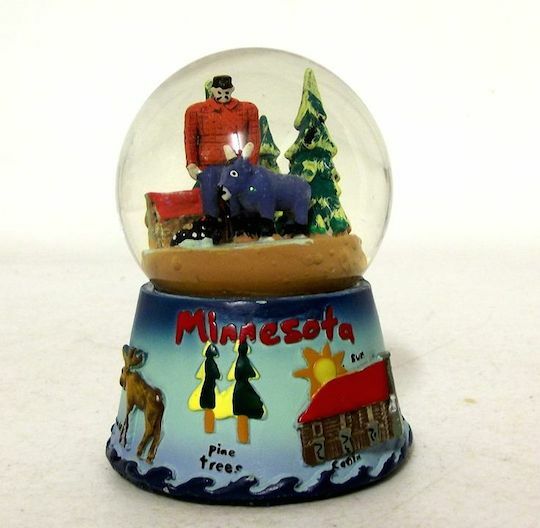 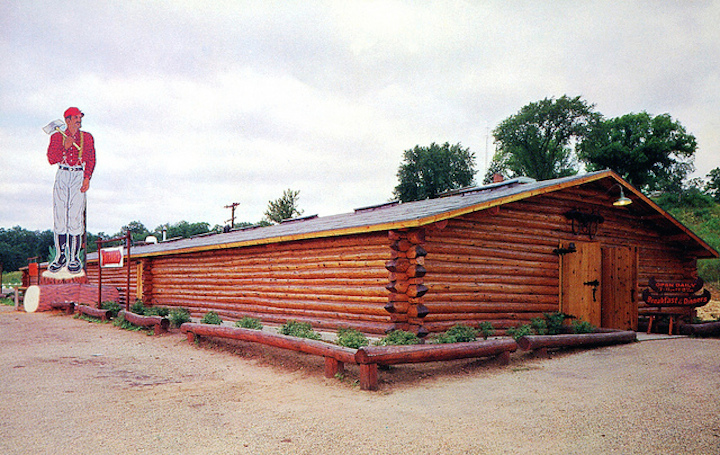 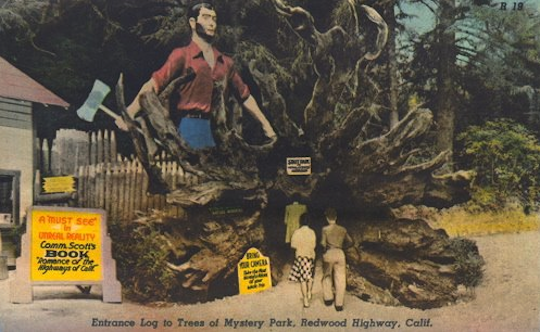 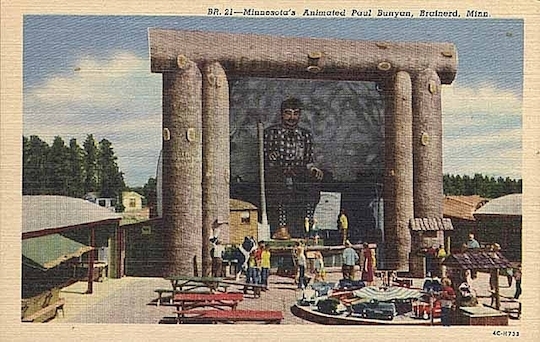 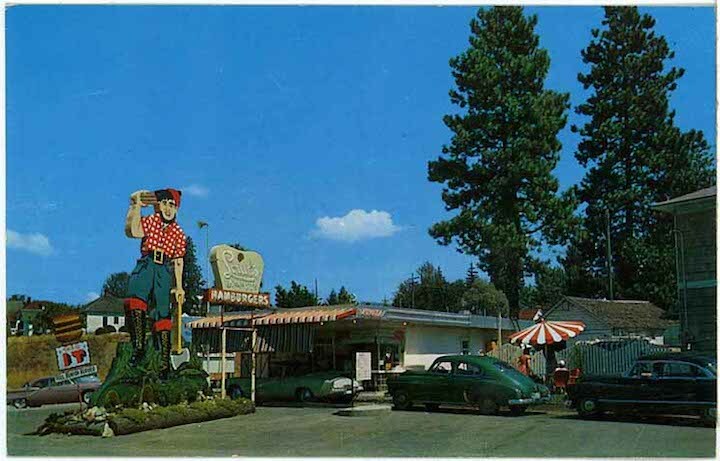 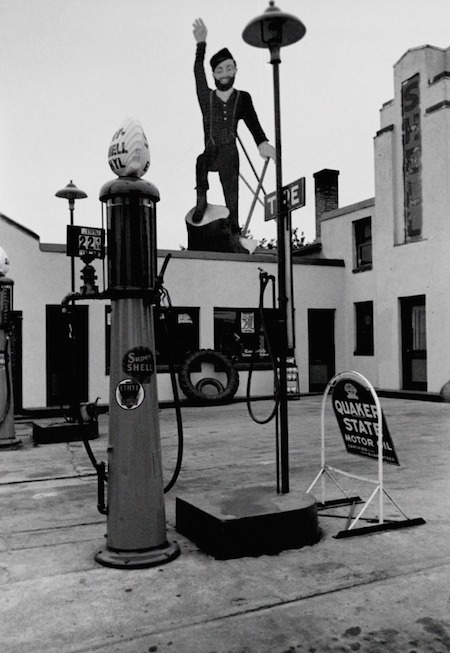 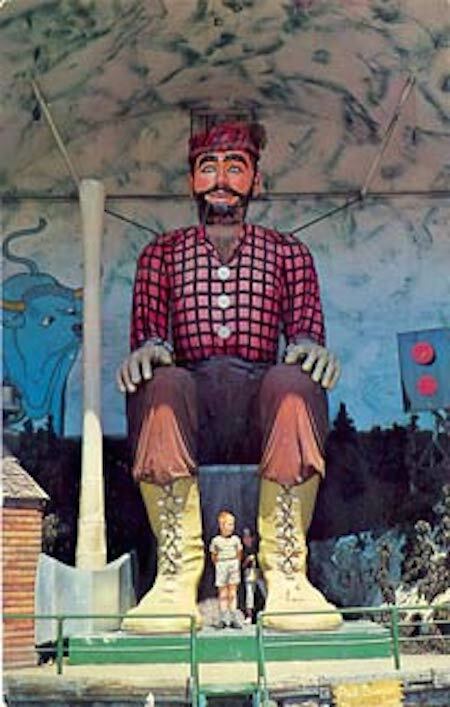 Folklore is an interest of Gabby’s, especially worker folklore – John Henry, Gib Morgan, Joe Magarac, Pecos Bill, and Paul Bunyan. 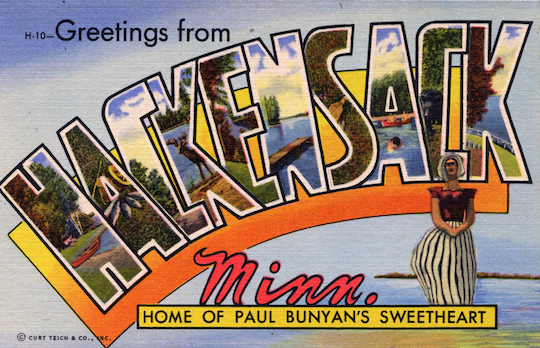 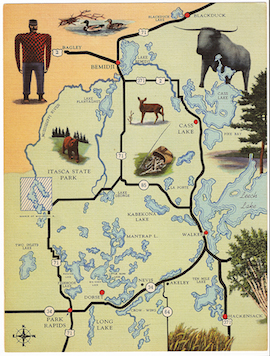 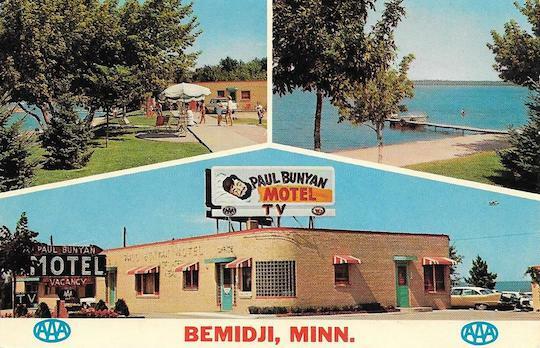 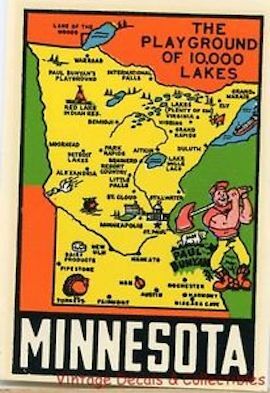 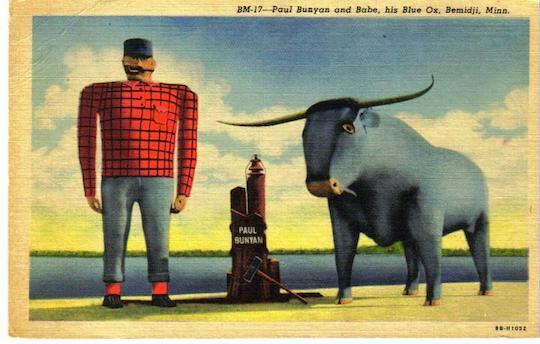 Over the course of the three-week road trip, Gabby and Danielle learned a lot about the Great Lakes tribes and collected a lot of Paul Bunyan stuff. 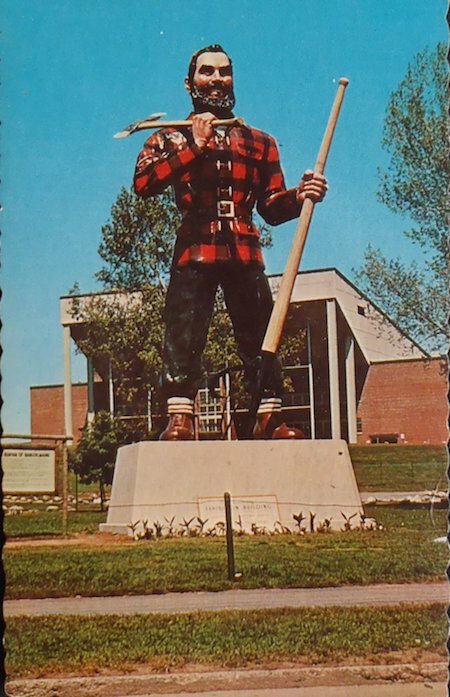 A few weeks ago he taught Nicole one more lesson. 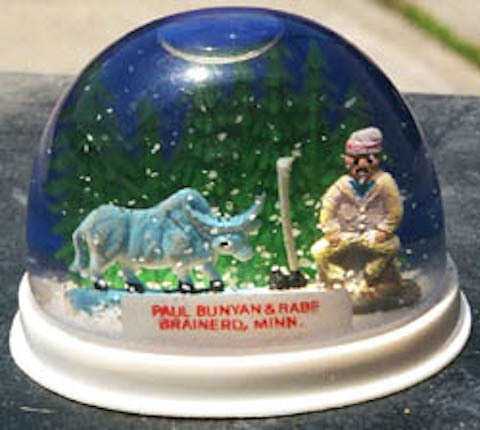 Yes, collecting is fun. But yes, most collections need to Go Away before long. 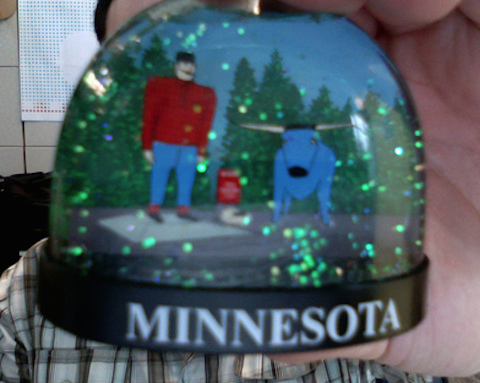 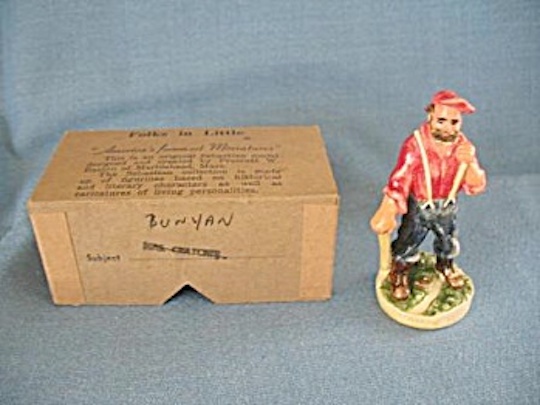 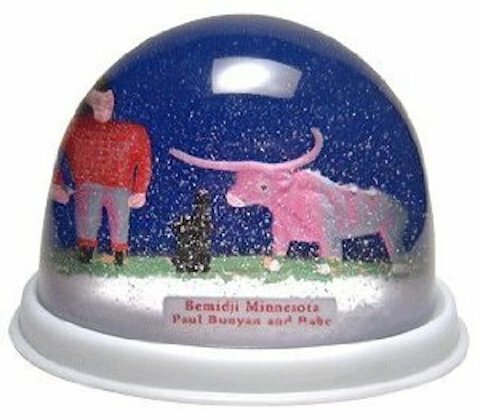 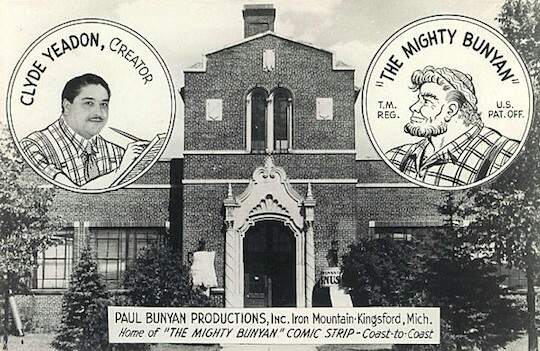 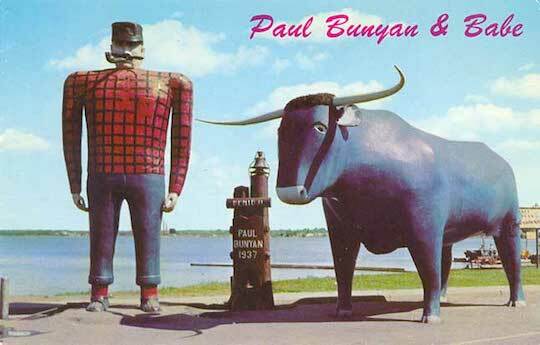 The two of them packed up the entire Paul Bunyan collection and sent it to my friend. 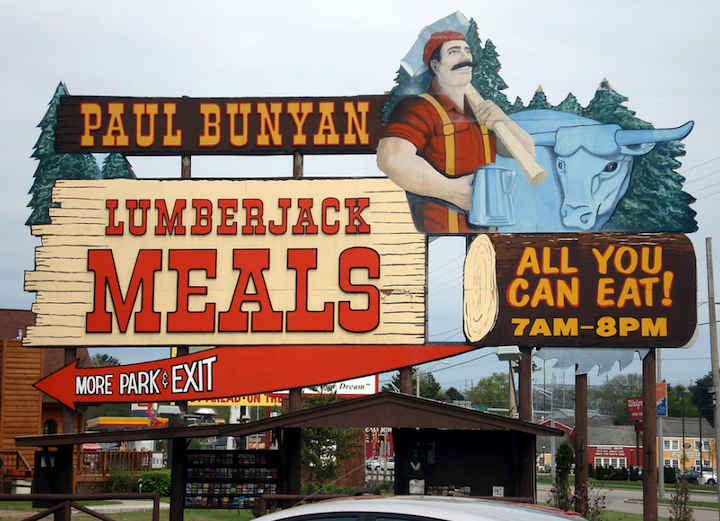 Gabby also sent photos of a few of the places where they ate. 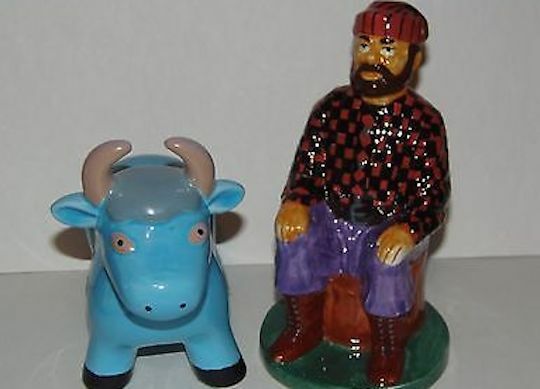 I took my laptop to show my friend the draft of this post, made after all with the collection that Gabby had sent him. 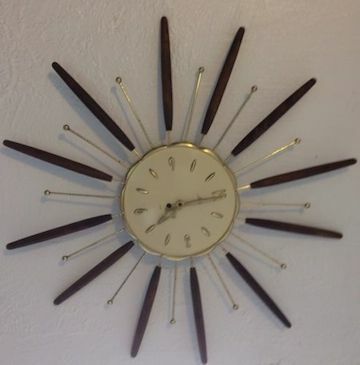 He was hanging a Robert Shaw Sunburst/Atomic Starburst wall clock in his kitchen. 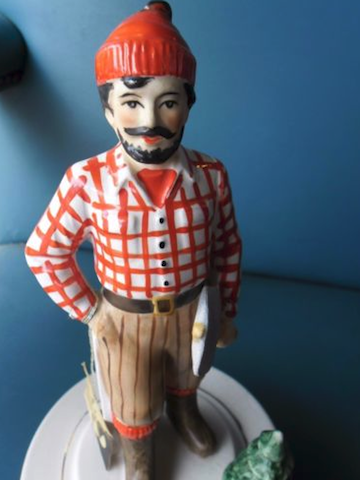 He found the clock at the Ashby BART flea market and was pretty excited about it. 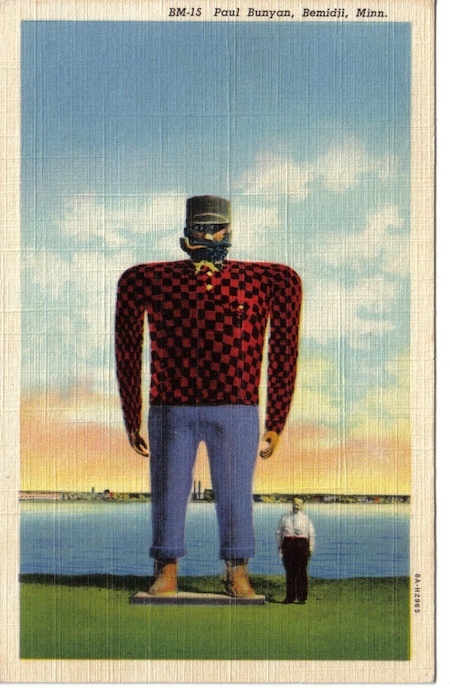 He scrolled through the post and then flipped a photo for me to see. 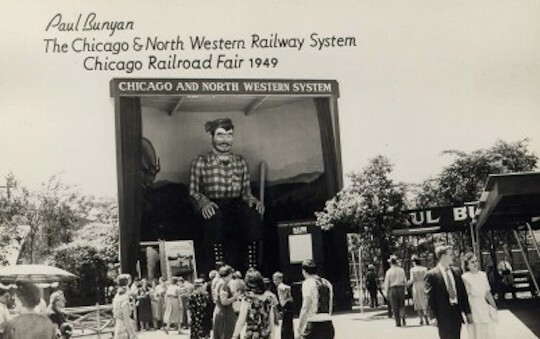 From his childhood, before things went off the tracks. 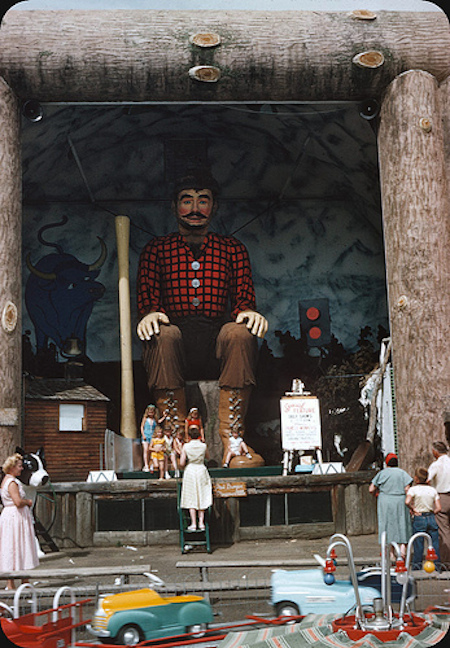 He stands here with his sisters and brother on a family vacation. 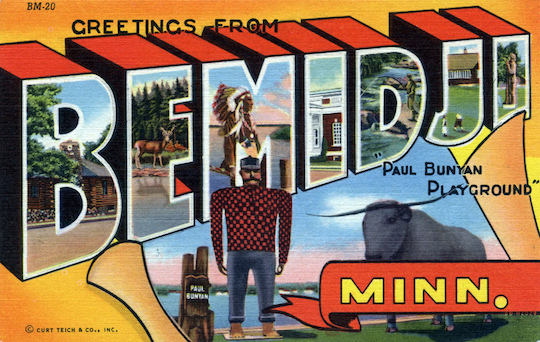 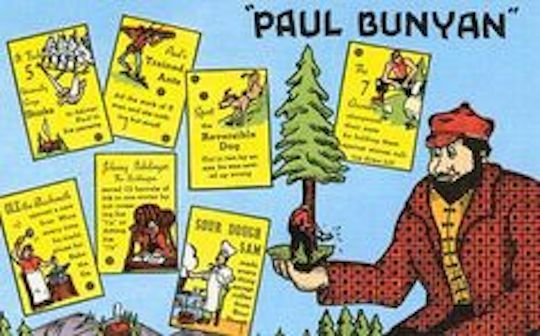 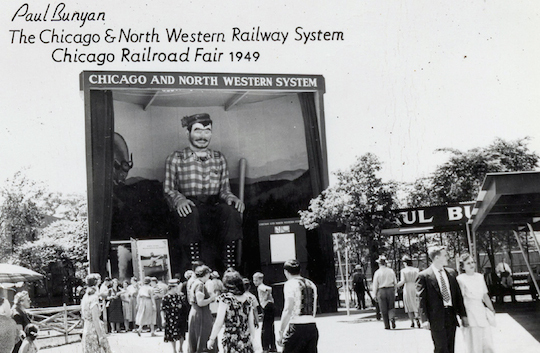 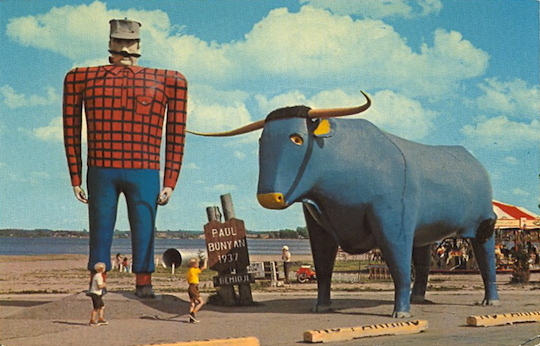 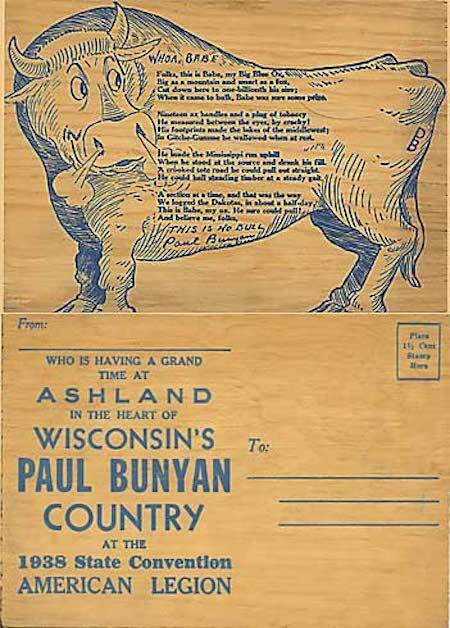 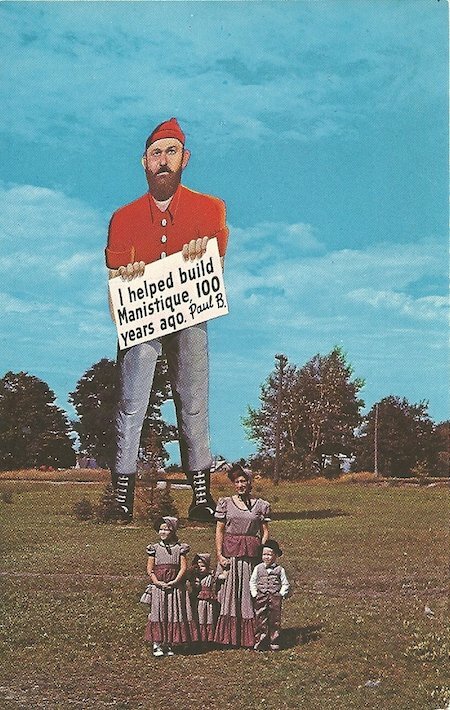 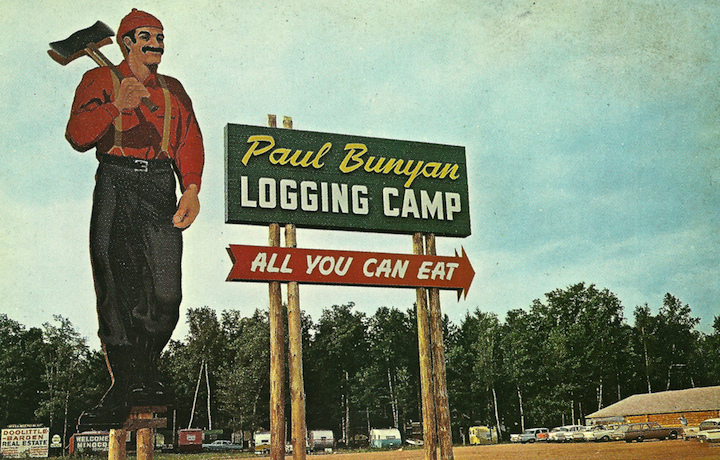 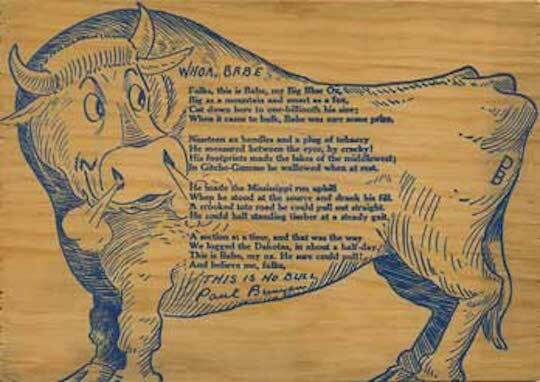 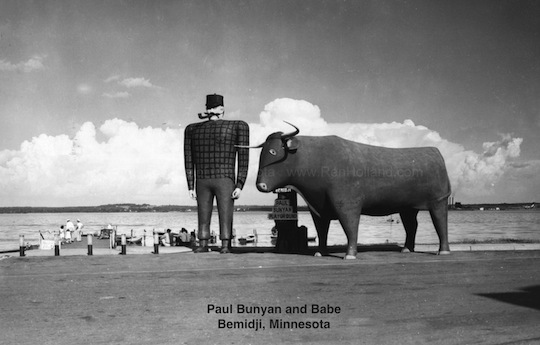 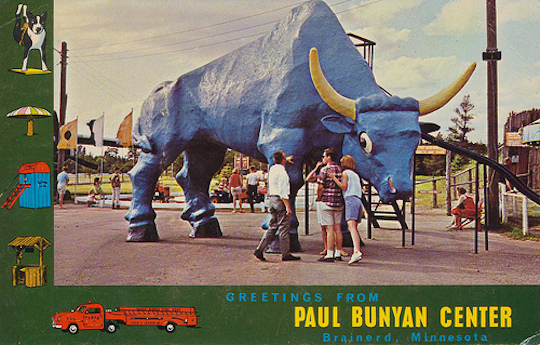 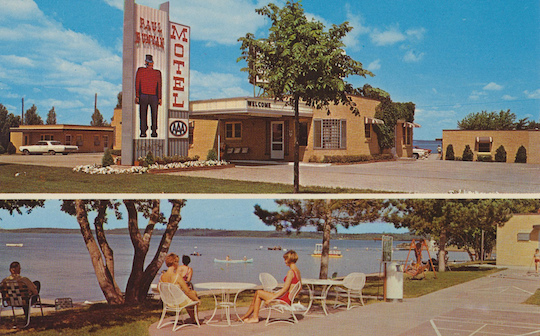 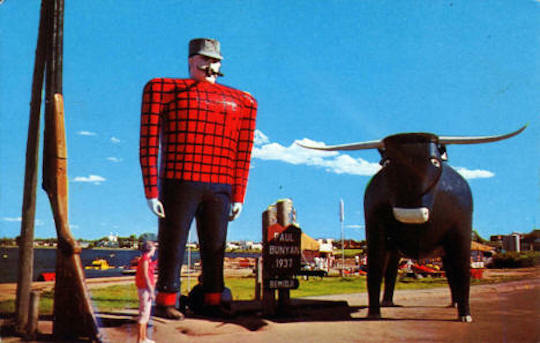 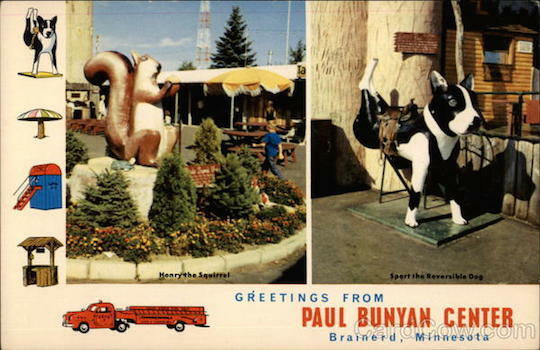 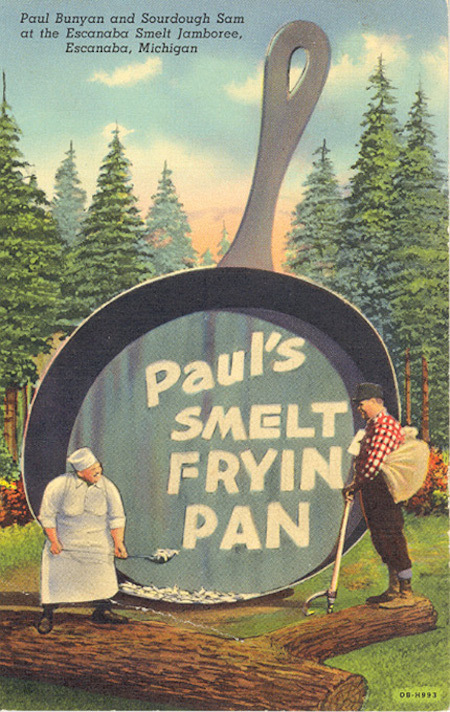 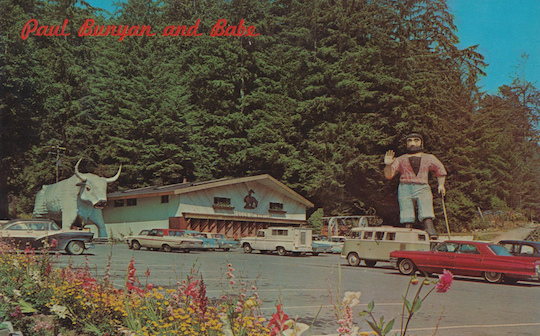 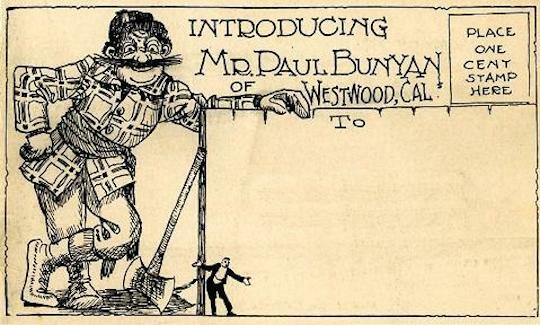 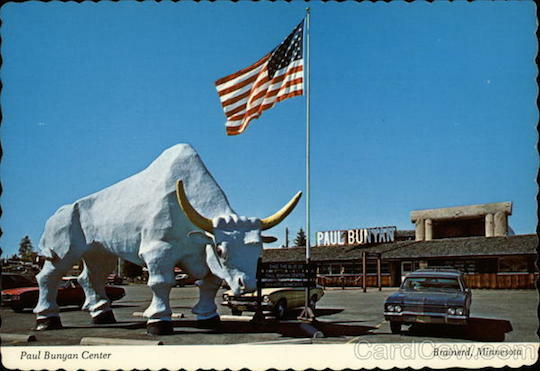 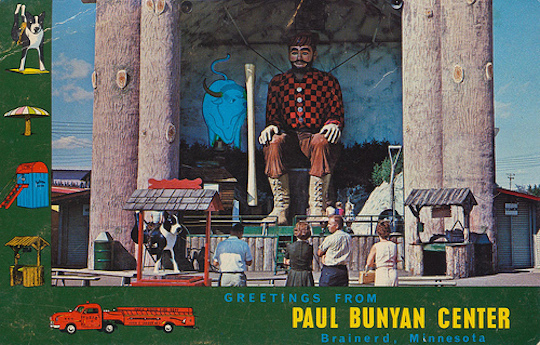 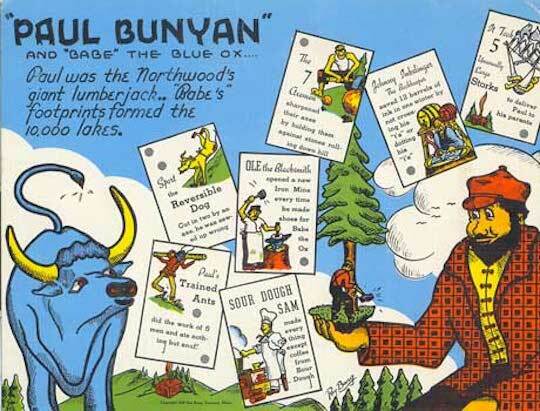 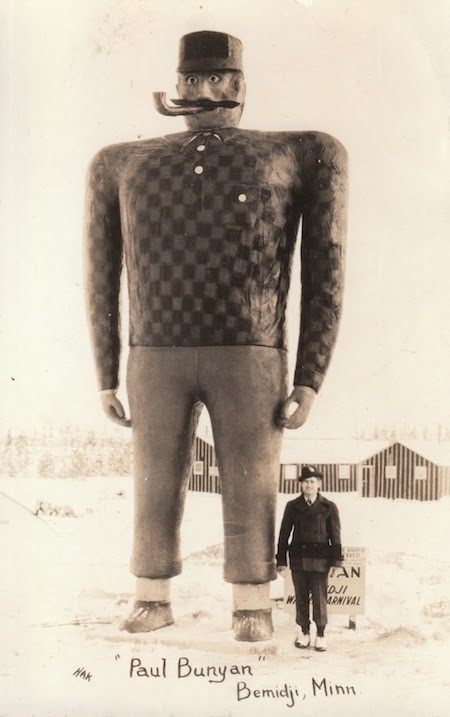 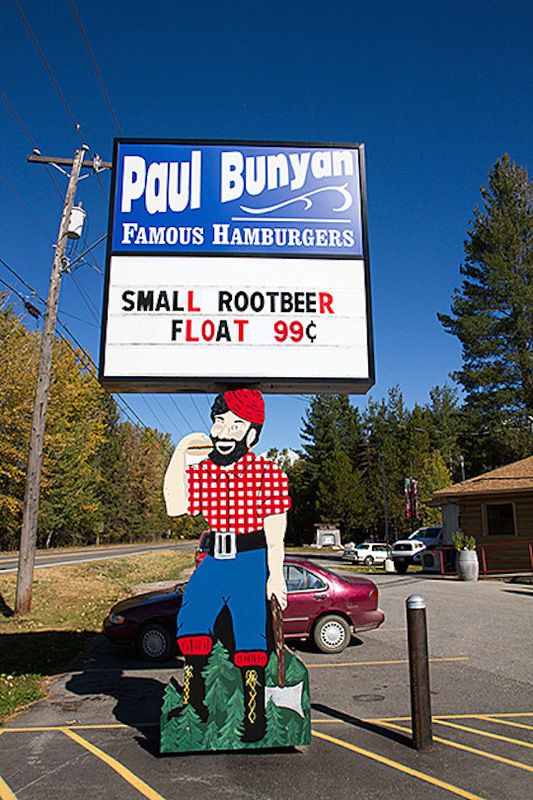 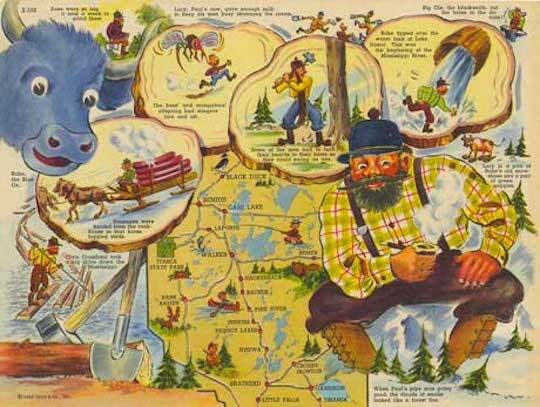 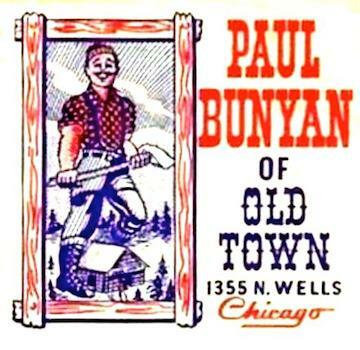 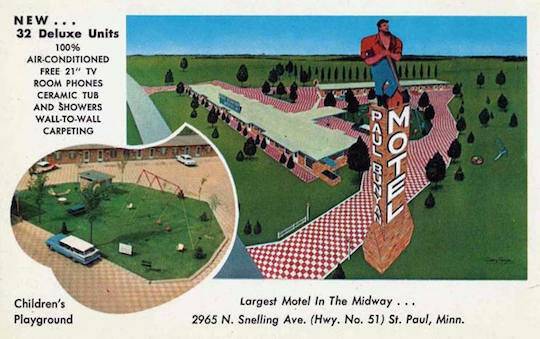 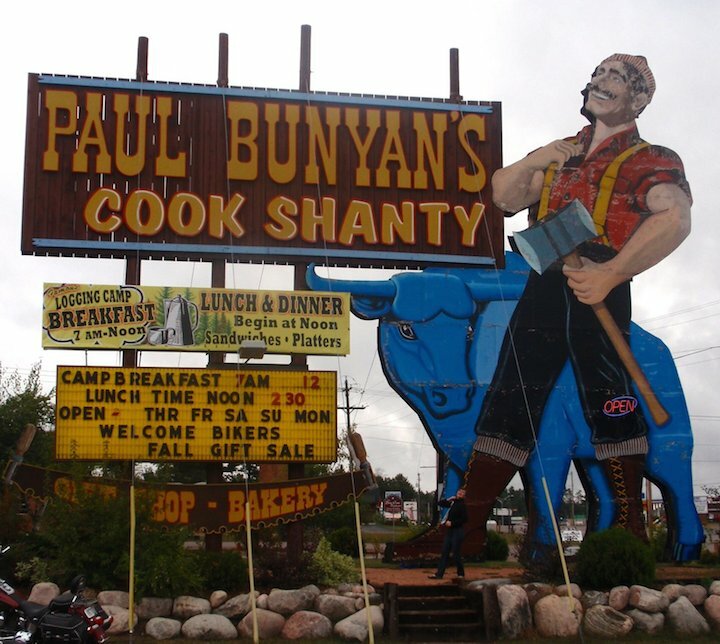 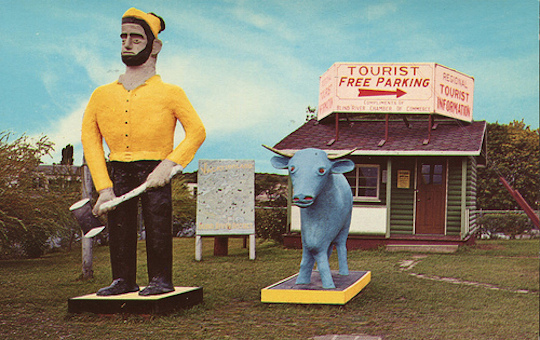 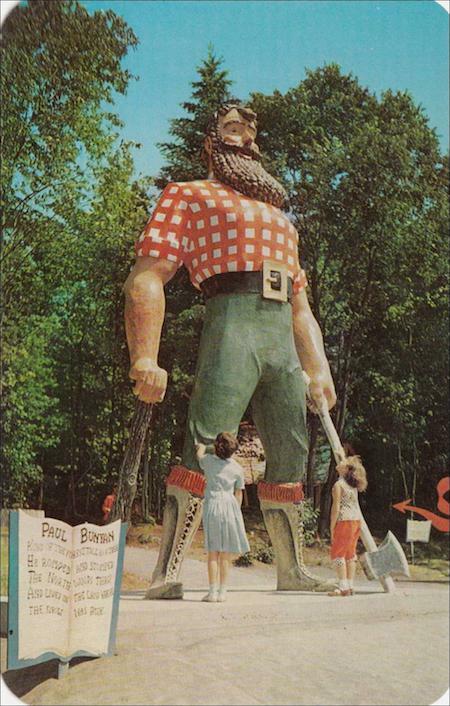 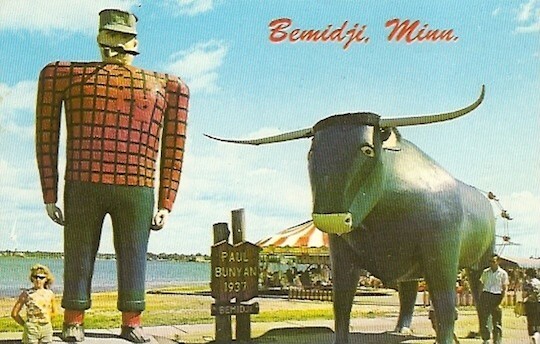 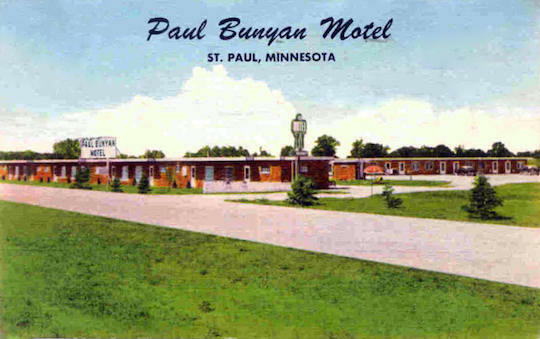 He remembers his Detroit childhood fondly, but does not remember this giant Paul Bunyan fondly. 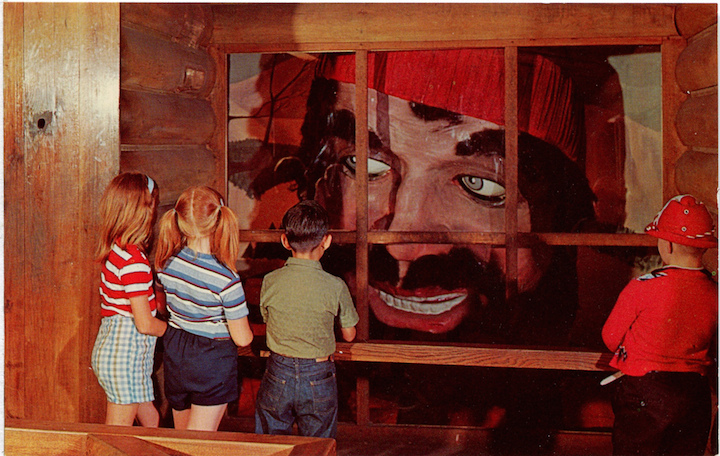 “That giant freak freaking freaked me out” were his words. 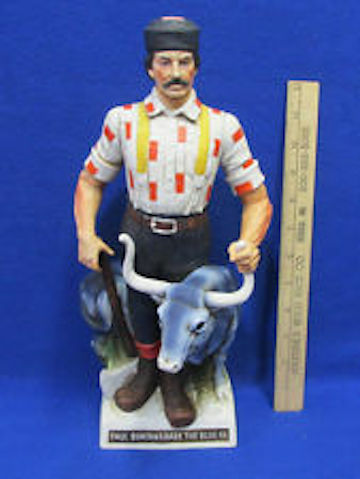 What about Gabby’s collection, now his collection?